Topics: Radio Commercials, and Coverage. It is hosted by Peer 1 Network Inc (New York, York,) using SSWS web server. There are 1 Nameservers, ns.acadianagaragedoors.com. 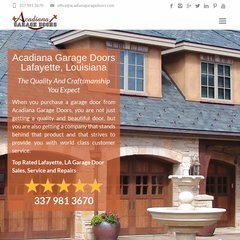 Acadianagaragedoors.com's server IP number is 65.39.205.54. PING (65.39.205.54) 56(84) bytes of data.